Man: "What was that for?" Wife: "What was that piece of paper in your pants pocket with the name Marylou written on it?" Man: "Oh honey, remember two weeks ago when I went to the horse races? Marylou was the name of one of the horses I bet on." The wife looked all satisfied and goes off to work around the house. Man: "What the hell was that for this time?" 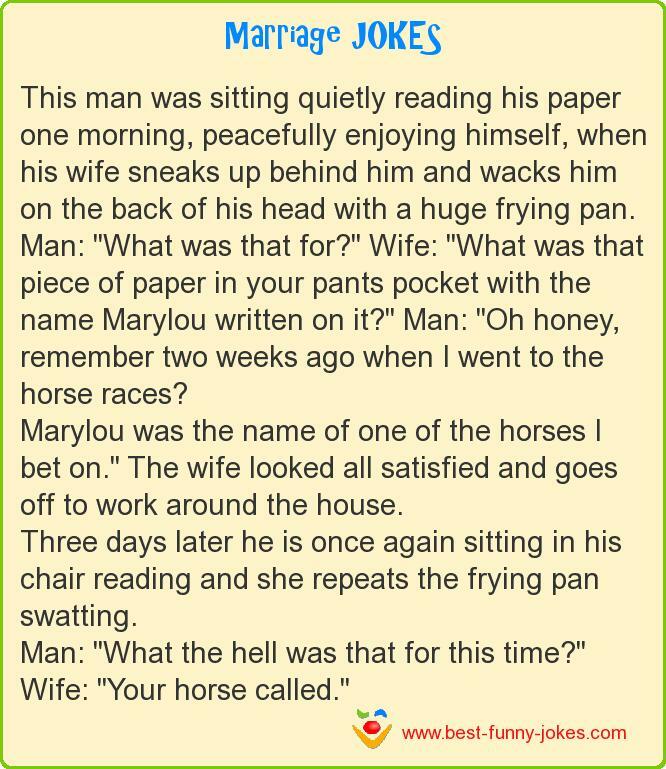 Wife: "Your horse called."